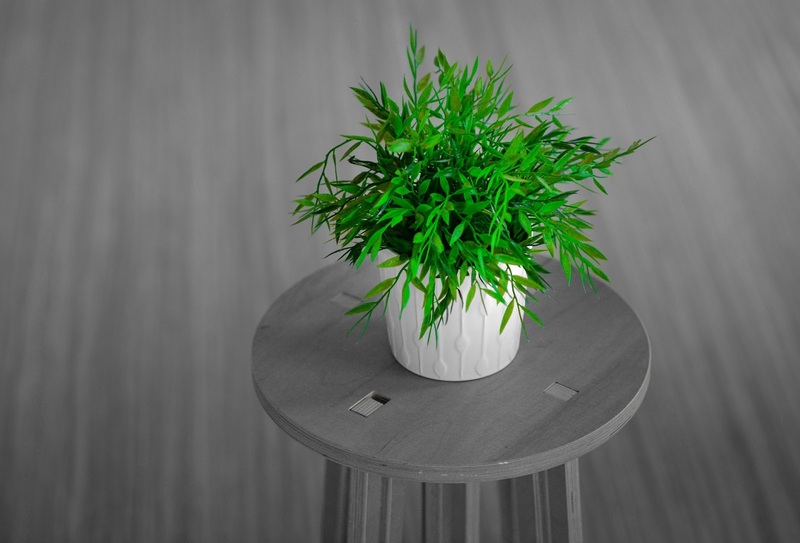 I love finding new tips on ways that I can make my home more eco-friendly. It's not only good for us and the environment but usually, these tips also help out our pocketbooks. A tip that I learned years ago is to forgo many conventional cleaning products which can be toxic to the environment and us! They can be endocrine disruptors and create a toxic load on our bodies. Many of today's diseases are caused in part by some of these harmful chemicals in our everyday products. Instead, I use vinegar and baking soda to clean my home. Baking soda and vinegar are both non-toxic and biodegradable and they can be used to clean almost anything in our homes, plus they are budget friendly! Vinegar kills germs and deodorizes and baking soda works as an abrasive agent that also absorbs oils and also deodorizes. The uses of vinegar and baking soda are almost endless. If you're worried about the scent of the vinegar, there's no need to, the scent dissipates rather quickly. There are many more natural DIY cleaning recipes that can be found online. 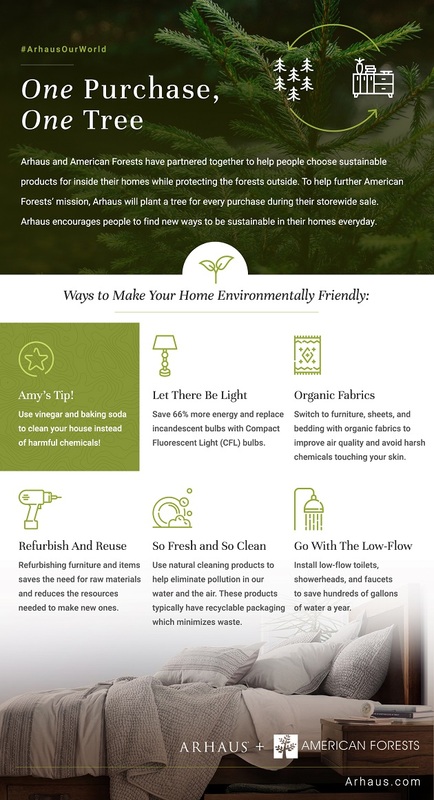 I love this graph that Arhaus has created with more easy tips on ways to go green at home. Arhaus is a furniture company that is committed to sustainability and only uses recycled natural resources. Their dining tables are just a few of their products that are made with 100% organic material. Arhaus has also partnered with the American Forest Foundation to help plant more trees in our depleted forests. Arhaus will plant a tree for every purchase during their storewide sale. Check out this handy infograph with more tips on how you can create a more eco-friendly home. I'd love to hear your tips on how we can make our homes more eco-friendly. I actually use vinegar mixed with water & a bit of scent (either lemon juice or, more recently, some vanilla essence) to mop my tiled floors & it works quite well! I've also used baking soda (or bicarb as we call it here in Aus) + vinegar to clean a blocked drain before too. I can't say that I've given up on convential cleaning products entirely, but these 2 things are just 2 small ways in which I've avoided using extra chemicals.